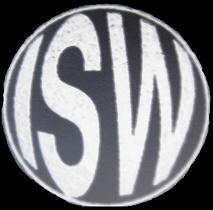 The following are the terms and polices of ISW. Please read these carefully before making a purchase or payment. If you have any questions you can always call me. ISW reserves the right to change this policy at anytime without prior notice to our customers. All sales and repairs are subject to the policy in place at the time at which the repair or sale took place and are not subjected to policy guidelines that existed prior to or after the date of the sale or service. Any transaction which takes place between ISW and the customer implies that the customer has read and accepted these policies stated below. Payment: All payment due upon delivery of service or goods. Invoice must be paid in cash, United States Postal Service (USPS) money order, PayPal, US bank draft, or personal check drawn on a US bank. Goods or services paid for with a personal check will only be released upon clearance of the check in my bank account. Any goods or services that exceed $500 will have to be paid for with a certified check drawn on a US bank or USPS\Western Union\AMEX money order or payment in person. Any refunds granted shall be rendered in the same manner in which the original payment was received, that is, if cash was paid, cash will be refunded. Shipping: All shipping costs are to be paid by the buyer and will be included in the invoice. I only ship via Fed Ex, UPS or USPS Priority or Express Mail. Cost of shipping will depend on the shipping agent, manner of delivery, and insurance costs. I will work with the customer to arrange the best shipping options. All shipments shall be insured and a tracking number provided (when possible) to the customer upon shipment of package. Any items damaged in shipping must be reported by the customer to the shipping agency. The shipping agency will then contact me (the seller) for information regarding the shipment. As I will do my best to ensure that the goods are properly packed according to shipping agencies guidelines, all claims due to shipping damage must begin with the shipping agent. Returns: All returns must be accompanied by an Return Material Authorization (RMA) number. Before an item is returned to ISW you must contact me via e-mail, mail, or phone, for an RMA number. The RMA must be written on a copy of the invoice that came with the package and returned to me along with the purchased goods. All goods that are eligible for return must be in their original packaging along with any manuals or instruction sheets, in original condition and thus be available for resale. ISW reserves the right to reject any goods that have been abused or rendered unsellable. Buyer is responsible for return shipping cost. I strongly urge the customer to insure the returned item in the event that it is damaged during shipping as no refund or credit will be provided for damaged goods. All returned goods shall be inspected\evaluated before any store credit, refunds, or exchanges are authorized. No returns will be accepted (regardless of condition) after a period of 2 calendar weeks (14 days) from the date of delivery (as verified by shipping agent) or date of pickup at ISW premises. Defective Merchandise: Any product that is received DOA "dead on arrival" to US customers may be returned for exchange (only) within 14 calendar days of the original shipping delivery date. Please contact me to get an RMA number before returning the defective merchandise. Restocking Fee: A 15% restocking fee shall be assessed on all items returned under the following conditions: a) All non defective returns, b) Any product refused by customer upon initial delivery, c) Any order canceled after products shipped, or d) any product returned without an RMA number. Non Refundable Items: The following are nonrefundable items including: a)Shipping charges, b) special or custom order (not normally stocked by ISW) items. c) labor, d) defaced, modified, or physically damaged by the end-user or during shipping, e) tubes, capacitors, transistors, or other, individual electronic component that have been installed, f) any items sold “as-is”. Warrantees: All warrantee periods commence from the day upon which the repaired item is retrieved by the customer. This warrantee applies only to the actual repair itself and does not cover prior repair work performed by myself or another repair facility. It also does not cover defects in the original design or implementation of the instrument or device under consideration, that would be covered by the manufacturers original warrantee. It also does not cover normal wear and tear. All non-electronic repair labor is warranted for a period of 180 days (6 months). All electronic repair labor is warranted for a period of 90 days (3 months). All parts used in repair are covered by the original manufacturers warrantee. Any instrument or device that is subsequently modified or repaired by a company or person other than ISW during the aforementioned ISW warrantee period will void the ISW warrantee. Liability\Damage Claims: Customer liability\damage claims against repair work performed by ISW shall not exceed the cost of the original repair work performed by ISW.